Double Magazine MOLLE II Pouch in ACU Camouflage. 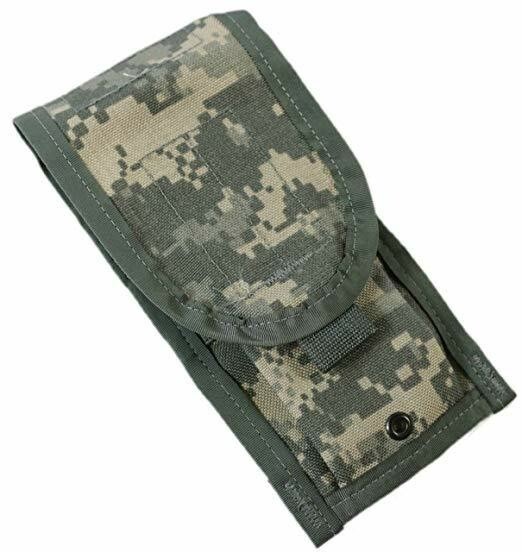 These single pocket pouches hold two (2) standard magazines each. A great addition to your kit whether its paintball, airsoft, preppers, sport shooters, or professional operators. Pouches secure via two MOLLE straps. Made from heavy weight Cordura Nylon, the pouches close via velcro flap and have elastic webbing along the sides to ensure a snug fit for your magazines. This is genuine US Army issue gear.